*Staff contracts will begin on June 18th and go until August 7th. Check out: 9:30 am on July 1st. Join us for our annual family camp session! Last season this session filled up early (April 30th) and we had 12 families on the waiting list. Make sure to get your spot when registration opens in January. We have new package deals, new rates, but the same great service. Don't forget, children ages 4 and under are free! Premium package includes 1 lodge room, all activity fees, all meals, 1 free zipline pass, & a special gift! Register before May 1st and get the best deal. Registration is from 2:00 PM - 6:00 PM on June 27th. Premium+ package includes 2 adjoining lodge rooms, all activity fees, all meals, 2 free zipline passes, & a special gift! Register before May 1st and get the best deal. Registration is from 2:00 PM - 6:00 PM on June 27th (only 2 packages available per season). Standard package includes 1 lodge room, all activity fees, all meals, & a special gift! Register before May 1st and get the best deal. Registration is from 2:00 PM - 6:00 PM on June 28th. Our RV options are the greatest deal of the season. If you plan on cooking your own meals then the cost can be less than $200 for a family of four. The published rates below are for a family arriving on Thursday, but if you arrive on Wednesday during registration we'll give you the Thursday rate! Registration: 4pm - 6pm on July 1st. Camper Pick-Up: 6:30 pm - 7:30 am on July 3rd. Registration: 4pm - 6pm on July 5th. Camper Pick-Up: 9:30 am - 10:30 am on July 8th. Discovery camp is our first week long session for children. Campers will experience a variety of base camp activities such as archery, arts & crafts, skateboarding, drama, ropes, sports, and field games. This is a perfect introductory week that will help young and first-time campers discover their interests. 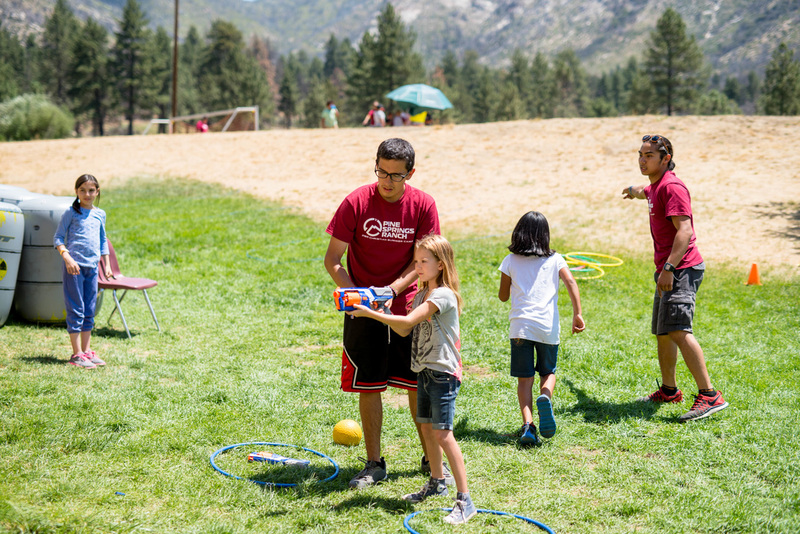 Discovery base camp rotations are: Archery, Arts & Crafts, Basic Baking, Climbing Wall, Drama Games, Field Games, Go-Kart Rides, Nature, Obstacle Course, Skateboarding, Sports, & Swimming. What is Combo Camp I? Combo Camp combines two different age groups, Juniors (9-12) & Tweens (11-15) into one camp session. 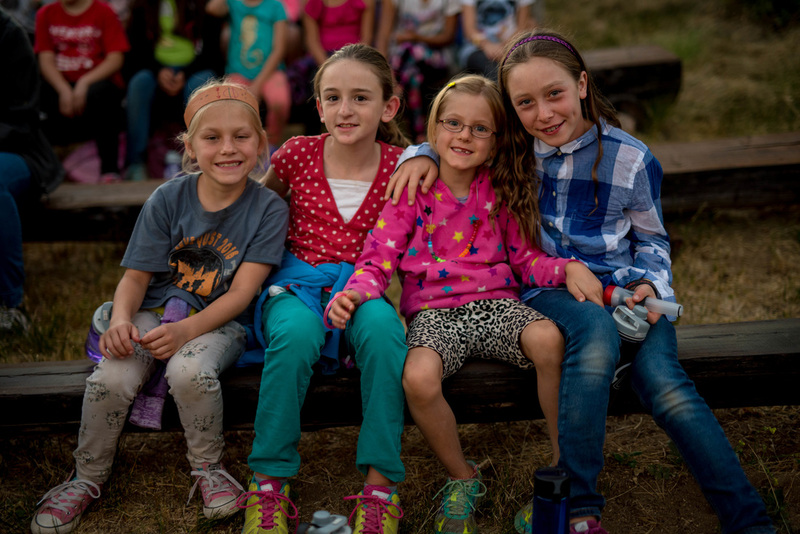 Juniors and Tweens are allowed to come to PSR Camp during the same week (combo camp) but are separated during meals, rotations, cabin assignments, program seating, and shower times. Why do you have Combo Camp? 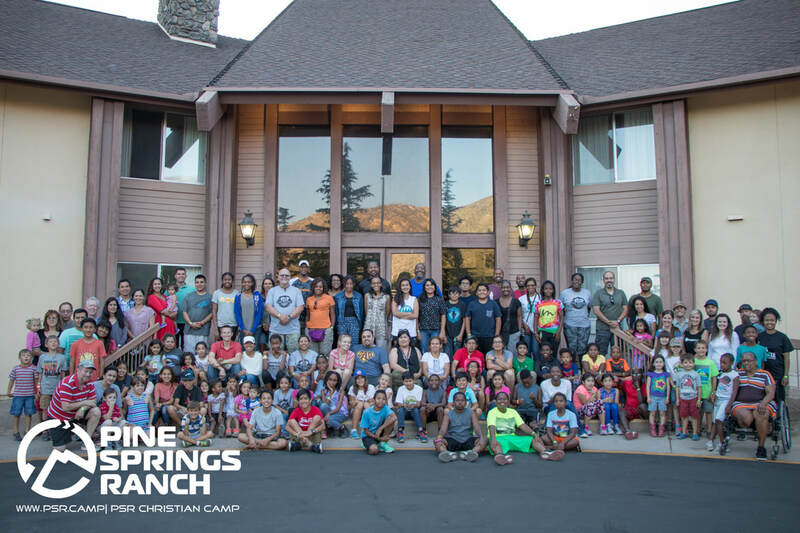 Most of our campers are between the ages of 9-15, and combo camp is an opportunity for more children to come to Pine Spring Ranch because they are available & meet the age requirement. Also, parents like combo camp because their children who would normally be too far apart in age to attend the same session can attend during a combined session. How is Combo Camp I different from Combo Camp II & Combo Camp III? Combo Camp I has no specialized activities & no activity fees. This means it's perfect for children ages 9-15 who are attending camp for the first time. Activities are still offered at an introductory level and campers will have the opportunity to try more things. ​​For the third session of camp we're offering another week of Combo Camp. This is a new session we've created so campers from two different age groups can attend summer camp. The two age groups are separated by activity (below), cabin (5 cabins in each village per age group), cafeteria section (east and west), and shower schedule (9.5-12.5 am showers, 11.5-15.5 pm showers). A combined session was a top request in our 2016 parent survey. Learn more about likes & dislikes. Experience success and failure in a safe place. ​​Combo camp afternoon rotations are: Archery, Arts & Crafts, Basic Baking, Climbing Wall, Drama Games, Field Games, Go-Kart Rides, Hiking, Nature, Obstacle Course, Skateboarding, Sports, & Swimming. Teen Exclusive Camp is our fourth week long session for children. 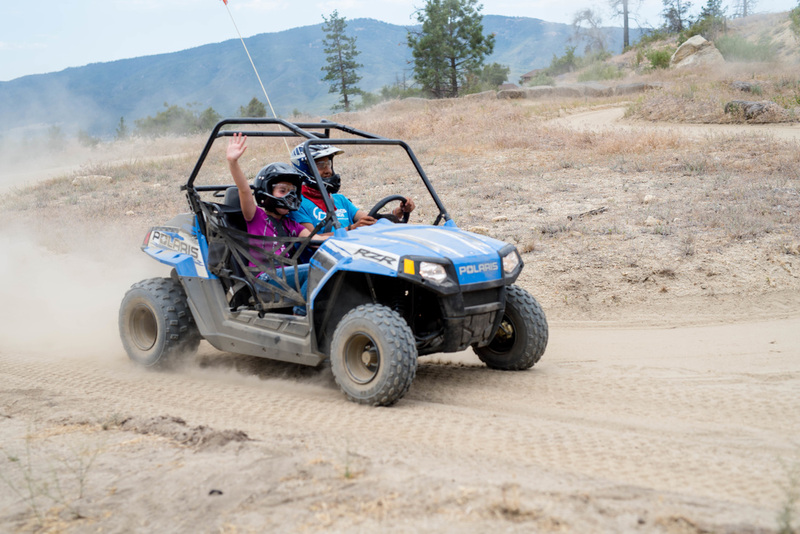 Every camper will choose a specialty activity (listed) for the morning activity period and will have an opportunity to do tween base camp rotation in the afternoons with their cabin mates. ​​Teen camp afternoon rotations are: Archery, Arts & Crafts, Basic Baking, Climbing Wall, Drama Games, Field Games, Go-Kart Rides, Hiking, Nature, Obstacle Course, Skateboarding, Sports, & Swimming. Combo Camp III is our fifth and final week long session for children. Every camper will choose a specialty activity (listed) for the morning activity period and will have an opportunity to do teen base camp rotation in the afternoons with their cabin mates.